This week the Horror Duo take on a pair of Phantom of the Opera remakes. 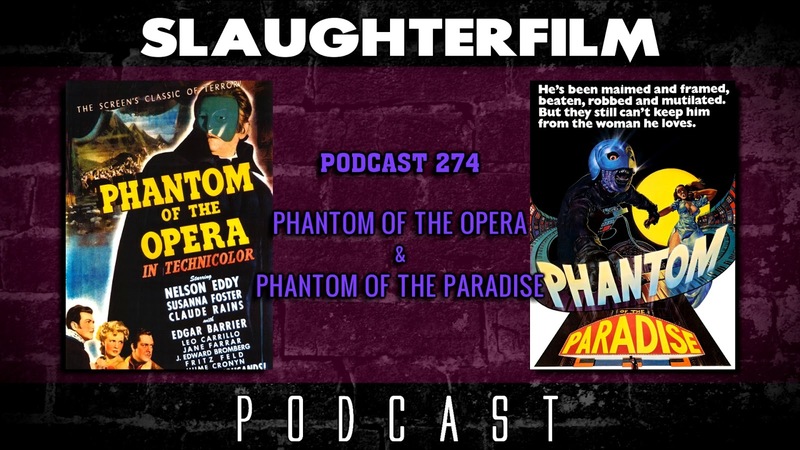 Cory shares his thoughts on the 1943 Phantom of the Opera starring Claude Rains - comparing it to the original silent film version. Forest takes on the Brian DePalma rock opera re-imagining Phantom of the Paradise. They also chat about the new theatrical It, discussing what they liked and disliked, comparing this It to the television mini-series as well as the book. All this and is Marvel Comics going too far in the direction of equality? For more Slaughter Film news and reviews, as well as show notes and special events, make sure to visit our website; SlaughterFilm.com. 30:46 - "Phantom of the Opera"
56:42 - "Phantom of the Paradise"